The Senate voted 98-1 on Wednesday to advance a bill aimed at curbing the drug crisis, sending it to President Donald Trump for a likely signature in the near future. The SUPPORT for Patients and Communities Act is the final version of several different proposals which have passed back and forth between the House and Senate in recent months. It passed the House back in June by a vote of 396 to 14. The bill's primary Senate co-sponsor, Sen. Lamar Alexander (R., Tenn.), on Wednesday touted Senate Majority Leader Mitch McConnell's (R., Ky.) claim that the bill represented "landmark" legislation. "Last year, more Tennesseans died from opioid overdoses than were killed in car crashes," Alexander said. "The opioid crisis is hurting Tennessee communities, and I'm proud that Congress has come together to take this big step to help our communities fight back." Opioid overdose death—and drug overdose death more generally—is currently America's greatest public health crisis. Some 70,000 people died from drug overdoses in 2017. 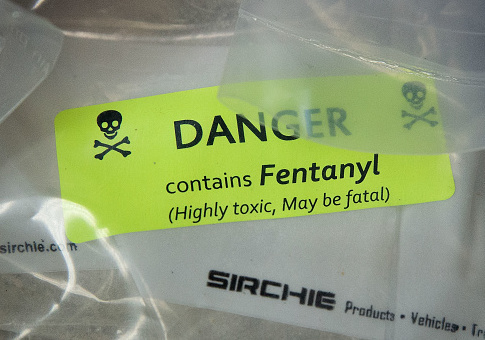 At least 42,000 of these deaths involved opioids, either in the form of prescription pills, heroin, or synthetic opioids such as fentanyl. There is little sign that the sharp uptick in deaths will abate any time soon, with recent research indicating that the total number of drug overdoses has grown exponentially for the past 40 years. The SUPPORT Act is in fact a package of disparate bills, pulling together a bevy of policy approaches to try to combat the overdose death surge. It expands Medicaid coverage for individuals suffering from drug abuse disorders, increasing length of coverage for treatment from 15 to 30 days, ensuring coverage of all substance use disorders, and permitting more medical professionals to treat persons seeking to escape addiction. One of the bill's most notable components is Sen. Rob Portman's (R., Ohio) STOP Act. STOP would require USPS to provide electronic data on its packages from overseas—which it currently does not—as part of an effort to combat the influx of fentanyl from China through the U.S. mail. "Passing the STOP Act is a victory in our efforts to combat the opioid crisis and stop the influx of cheap, deadly synthetic drugs like fentanyl," said Portman. "By closing the loophole in our international mail system that drug traffickers have exploited to ship fentanyl into the U.S., we can help law enforcement keep this poison out of our communities and ensure those gripped by addiction the chance to live up to their God-given potential." The SUPPORT Act also empowers the FDA to require that prescription opioids be sold in blister packs of three to seven pills, thus reducing the number of pills which can be diverted for abuse; and, according to Alexander, it "will help spur the development of a non-addictive painkiller." The bill's only dissenter, Sen. Mike Lee (R., Utah), cited concerns about the bill's sheer size, much of it thanks to programs unlikely to be held accountable to measures of success. "The SUPPORT for Patients and Communities Act has some good provisions in it, like the increased authority given to Customs and Border Protection to discover and destroy packages containing illegal controlled substances," Lee said in a statement provide to the Washington Free Beacon. "Unfortunately, the bill also contains far too many unaccountable federal grant programs whose effectiveness will not be measured in any substantive way." Given his rhetorical focus on the opioid epidemic, Trump is likely to sign the bill—he has even signaled support for key components of it in the past. If signed, the SUPPORT Act will add substantial backing to the billion dollars in federal funding that the White House has already announced to fight the drug crisis.